Each summer, gas prices seem to go up just after Memorial Day and stay high throughout the season, much to our dismay. The fuel price hike results from a variety of factors, including an increase in demand due to Summer vacations and travel, natural disasters interrupting transport lines during Hurricane Season and energy companies completing spring maintenance on refineries that makes gas supply decrease. A lesser known reason is due to a change in the fuel supply, initiated to limit the amount of vehicle emissions and pollution produced during the summer. This fuel change, known as the seasonal gasoline transition, occurs at different times throughout the country but it mostly occurs towards the beginning of summer. Winter-blend gasoline may be used in northern states later into the year, while the southern states and California make the switch to summer-blend early in the summer. What is the difference between winter and summer blend fuel? Winter blend gasoline contains different ingredients than summer blend, which allows it to be produced cheaper. One of the ingredients used in winter blend is butane, which is cheaper to mix into the gasoline but doesn’t burn as cleanly as the more refined summer fuel. Butane is not added to summer fuel in an effort to reduce pollution as well as the RVP (Reid Vapor Pressure). In a further attempt to lower the RVP, oxygenates are added to the summer blend fuel, which contributes to the higher costs. Why is the RVP important? The RVP is a measurement of the pressure of the gasoline in your tank. In the colder winter months the RVP can be higher, making the fuel more volatile. During the summer months, however, it is important that the RVP be lower so the fuel will not boil or evaporate in the higher temperatures. A high RVP during warmer months can lead to increased smog and air pollution. So, what about this makes fuel prices higher in the summer? The use of ingredients other than butane and the addition of oxygenates both serve to raise the cost of summer blend fuel. Another reason for the higher prices, especially in the spring and early summer, is the changes refineries must make to produce summer blend gasoline. Before they make the seasonal transition, refineries shut down briefly and perform maintenance to ensure they will produce smoothly during the summer months. This brief shut-down period means that there is a limited supply of gasoline, which drives up the price. 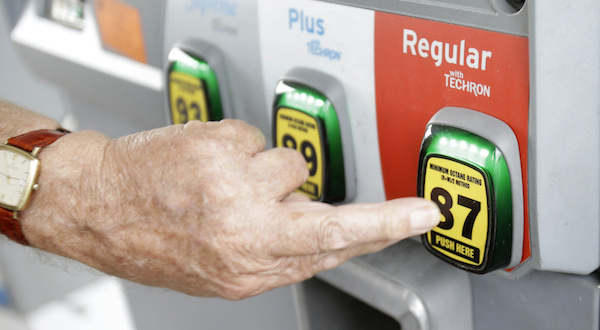 The AAA's Daily Fuel Gauge Report monitors gas prices across the nation. As of July 15, 2014 the national price for regular unleaded gasoline is $3.68 per gallon, which is the highest price for early summer in the past 6 years. How much more are you paying for gas where you live? Let us know in the comments below.